Want to get the book interviews in audio? Listen to the audio from all 8 interviews from the first Volleyball Coaching Wizards book! Would you like to listen (and re-listen) to the original audio of the eight interviews that are part of the first ever Volleyball Coaching Wizards book? If so, here’s your chance! 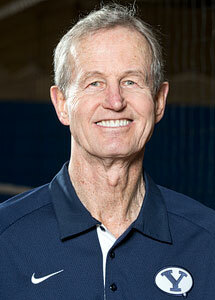 AVCA Hall of Fame inductee with over 500 NCAA Division I victories alongside coaching at the national team level and in professional volleyball. Now dedicates her time to players under 10. Won 7 NCAA Division III national championships in 14 years, including 6 in a row. Also won three straight state championships as a high school coach before moving to college volleyball. Winner of 17 state high school championships, including a 110 match winning streak. Twice selected National Coach of the Year. Australian National Team beach coach for three Olympics. Nearly 20 years coaching on the international professional beach tour. Normally, these interviews would be worth $112. You can get them right now for just $19.